We want 200 animal lovers to stop in to Head to Tail Thrift and Vintage on with a $10 donation on national Giving Tuesday and two great things will happen: The Talbot Humane Board of Directors will match up to $2,000 in donations, for a possible $4,000 fundraising drive for the day, AND, how about this- the first 50 people who make a $10 donation get a FREE DRINK coupon from Rise Up Coffee Roasters. A HUGE thank you to our friends at Rise Up Coffee Roasters for their support! Head to Tail Thrift and Vintage, located at 7874 Ocean Gateway, across Rt 50 from the shelter behind the Astrology Shop will be open until 6P on Tuesday November 29th! If you cannot make it in to the shop, but wish to help us reach our goal of $4,000, please contact Patty Quimby at patty@talbothumane.org or (410)822-0107! Grand Opening for the public! Food, sale specials, SNAPS and more will be present for your enjoyment! 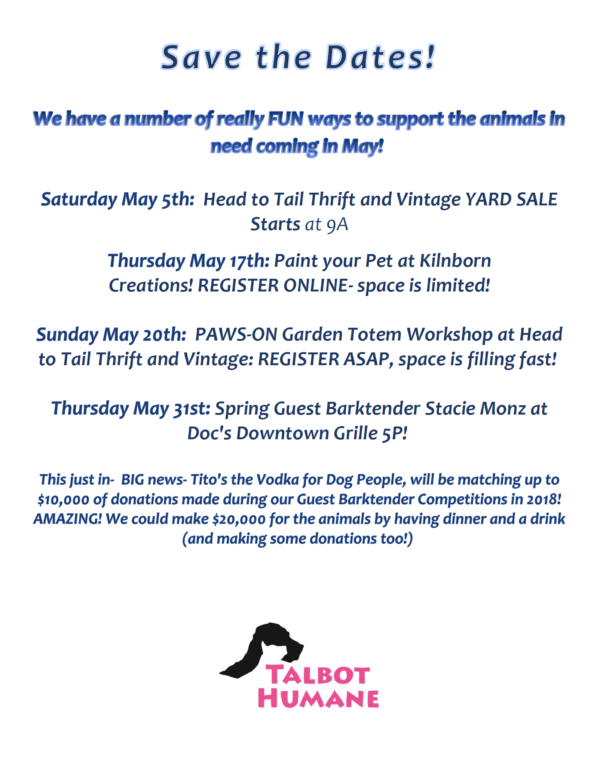 Come, shop, and help the animals of our community! Talbot Humane and Talbot County Animal Control would like to remind citizens during the times of high winds, heavy rain and potential flooding to PLEASE bring your pets indoors. Talbot Humane will lend crates to those in need during this time. Do not leave dogs tethered out or in confined areas such as kennels, sheds or any other structure which may flood or collapse. Please keep cats indoors during and after the event. Animals suffer from stress just as humans during extremes and may behave erratically, or not recognize their surroundings. If you see a problem within Talbot County, please contact our office at (410)822-0107. If you are in a danger zone, please plan to leave well in advance of the impending weather event. You will want to contact friends or family outside of the immediate danger area to stay. Contact local hotels to see if they are pet friendly, or will waive their policy during an emergency. In Easton the following hotels will accommodate pet owners- Tidewater Inn, Days Inn, Comfort Inn and Inn at 202 Dover. These businesses ask that owners call in advance to find out their requirements. In the event the Social Services Shelter at Easton High School is opened, the Talbot Animal Disaster Services shelter will also open to house pets for those residing in the shelter. Please be advised this shelter IS NOT a drop off for your pets- it is only for those residents living in the shelter. This shelter should also be used as a means of last resort- it will be stressful for you and your pets. Pets suffer from stress during these times just like you and me. The best way to protect you and your pets is to be prepared. Have a plan, and do not wait until the last minute to act. ONGOING- Aida Leisure has a beautiful bracelet for sale to benefit her fundraising- $25 from each piece goes to DFTD. 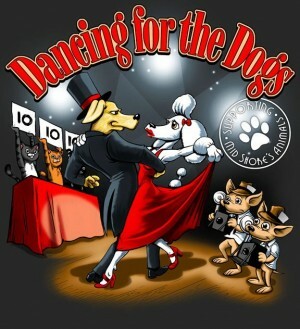 ONGOING- Go to www.dancingforthedogs.com and make a donation to your favorite local celebrity!!! 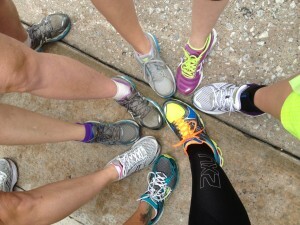 Dancing for the Dogs is an independent fundraising effort created by amazing friends to the animals of the Midshore. For more information on the event, celebrity dancers, more upcoming events or to make a donation, please visit their website www.dancingforthedogs.com today! Under the direction of Richard A. Vitanovec, Easton Middle School proudly presents the Broadway musical Annie. Show dates are January 23, 24, 30, and 31 at 7:00 pm and January 25 at 2:00 pm at the Easton High School Auditorium. This is the 10th anniversary of Vitanovec’s first musical at Easton Middle School, which was Annie back in 2004. This production involves over 50 students from 3rd grade through 12th grade, as well as some Easton Middle School faculty. To give his students a unique experience, Vitanovec was also able to contact Bill Berloni, animal trainer for Broadway and Hollywood, and he will be bringing one of his dogs, Mikey, to play “Sandy” in the production. Mikey played “Sandy” in the 30th Anniversary National Tour of Annie and was the “Sandy” understudy on Broadway. Berloni will be coming with Mikey to work with the cast. He has trained ALL of the “Sandys” on Broadway as well as the Sandy in the newest movie of Annie that came out this past December. The students and Vitanovec are very excited about this once in a lifetime opportunity. This is a big-hearted musical for the whole family. 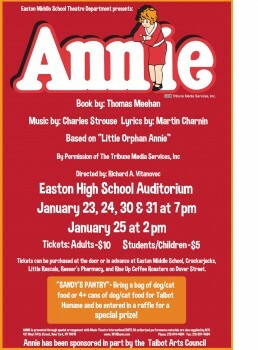 Come see Annie January 23, 24, 30 and 31 at 7:00 pm and January 25 at 2:00 pm at Easton High School Auditorium. Tickets are $10 for adults and $5 for children/students. Advance tickets can be purchased at Easton Middle School, Crackerjacks, Little Rascals, Reeser’s Pharmacy, and Rise Up Coffee Roasters on Dover Street. “SANDY’S PANTRY”- Bring 4+ cans of cat/dog food or a bag of cat/dog food to the show and you will be entered in a raffle for a special prize. The cat and dog food will be donated to Talbot Humane to help all the “Sandys” that find their way there. Come see what UNLEASHED is all about! Yes, it is true, even the most “seasoned” couch potato can get moving and have personal success with our Charity Running Program. Meeting is at 6PM at Talbot Humane. We will have our coaches and current teammates present to answer questions and provide you with information and support. Make new friends and do something amazing for yourself and the animals in need in 2015! 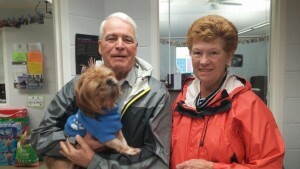 Click here to learn more about UNLEASHED and what it has done for so many animals and neighbors! Pit bull spay & neuter – FOR FREE! Yes, it’s true! 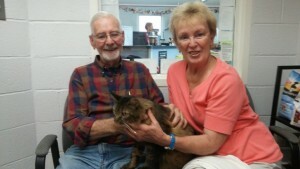 Thanks to a grant from the Maryland Department of Agriculture Talbot Humane is able to provide FREE spay/neuter services- including vaccinations- at no cost to the pet owner while funds last. 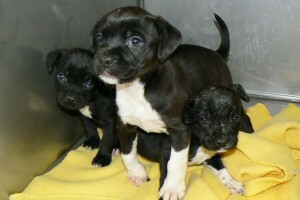 58% of ALL dogs entering U.S. animal shelters are pit bull or pit bull mixes? The average cost to PROPERLY care for a litter of puppies (average litter 5 -9 puppies) is well over that which you will “make” from the sale of the puppies. This cost rises greatly if the mother is unable to nurse or there are any medical complications. Dog flippers, hoarders and fighters scour social media and free to good home ads for animals which often end up abused and neglected. Show your dog you love them, have them spayed or neutered! If you are a Talbot County resident in need of spay/neuter services for your pit bull or pit bull mix type dog contact our office TODAY!